and 9pm-10pm Sun-Thurs, 9pm-11pm Fri-Sat. 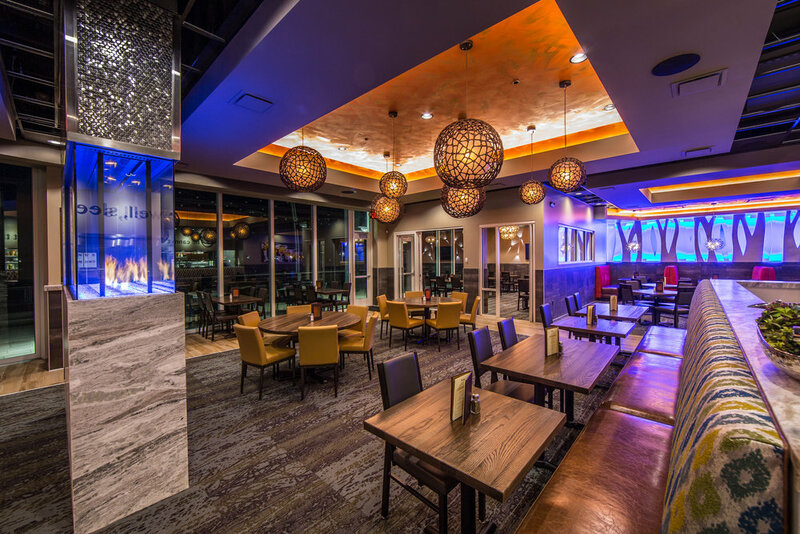 Twigs Bistro and Martini Bar at The Waterfront in Vancouver, Wa opened September 26th 2018. 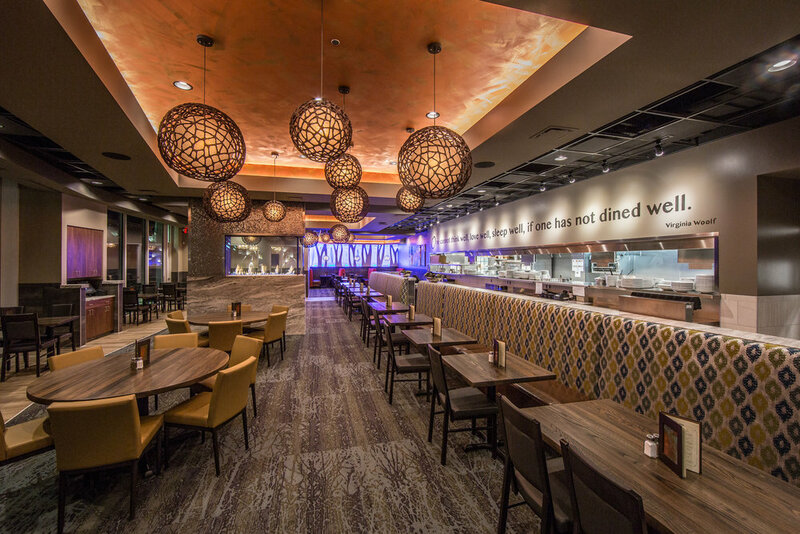 This location is a fantastic addition to our expanding group of restaurants with a water theme focus. 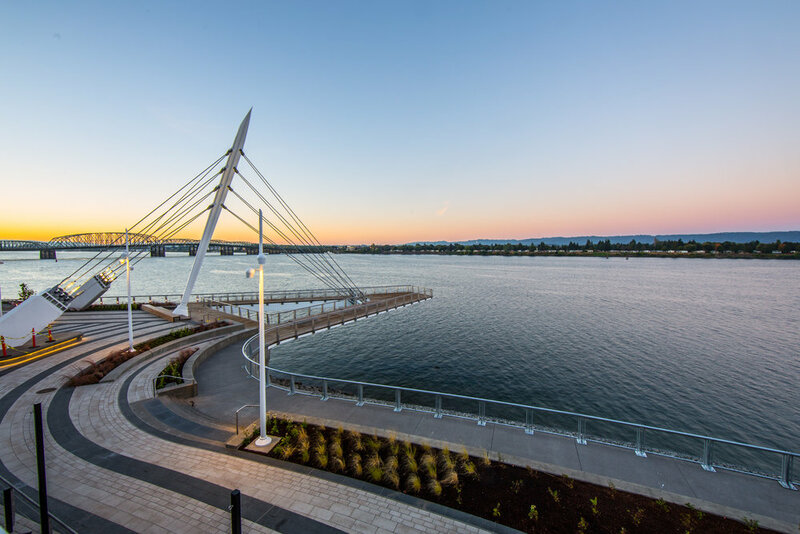 Located on the shores on the Columbia river in downtown Vancouver, we offer guests the ability to enjoy indoor and outdoor seating where they can view the beautiful sights and sounds of the bustling river park while sipping their favorite cocktail. 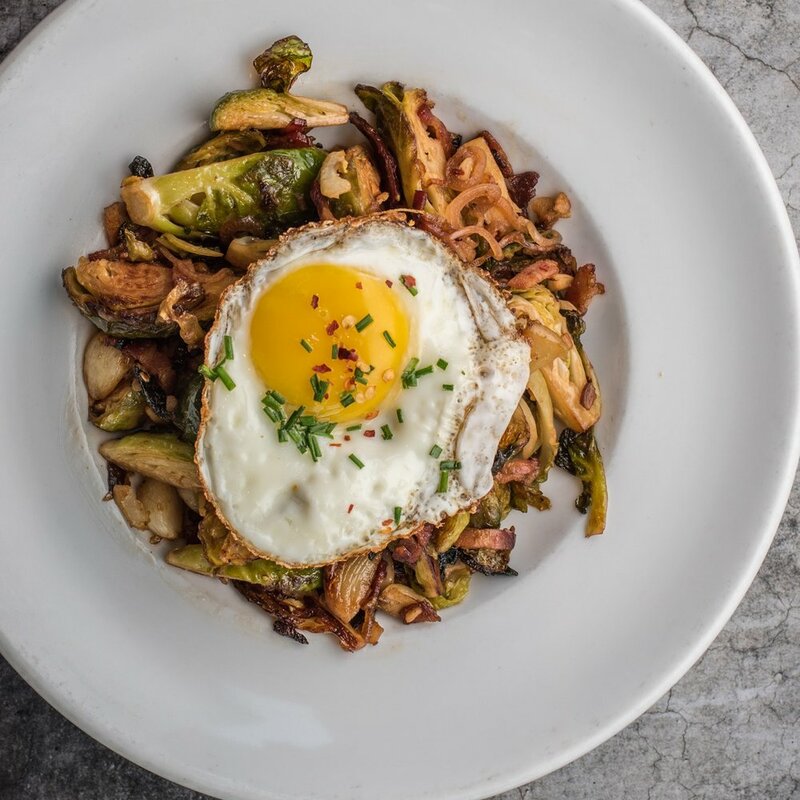 Our new American menu offers something for everyone, along with an expansive list of Twigs Signature cocktails, local draft beer and wine, great gluten free, vegan, and kids menus, and Fresh Sheet selections featuring local seasonal products that support every region we serve. 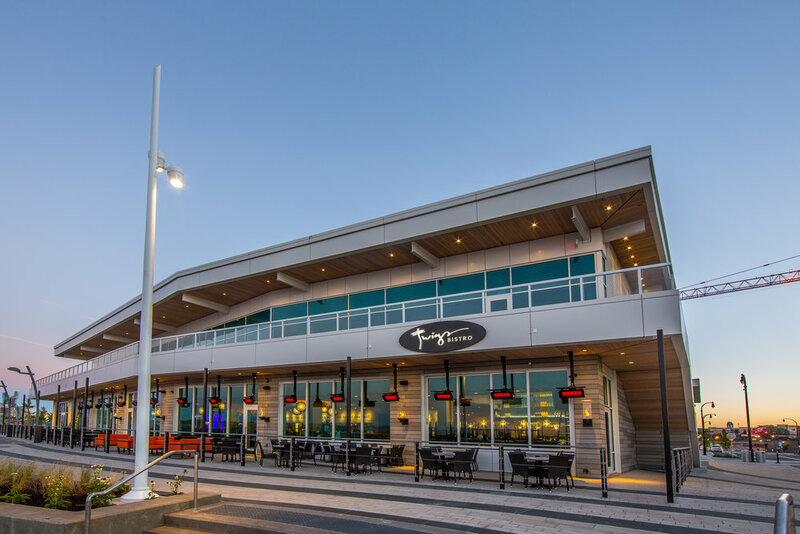 Come see what Twigs at The Waterfront has to offer! 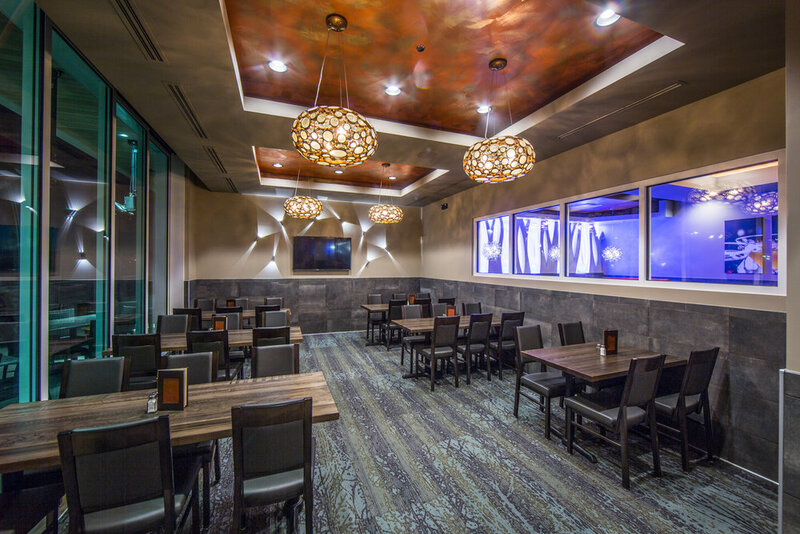 Our private dining area is great for meetings, parties and events. 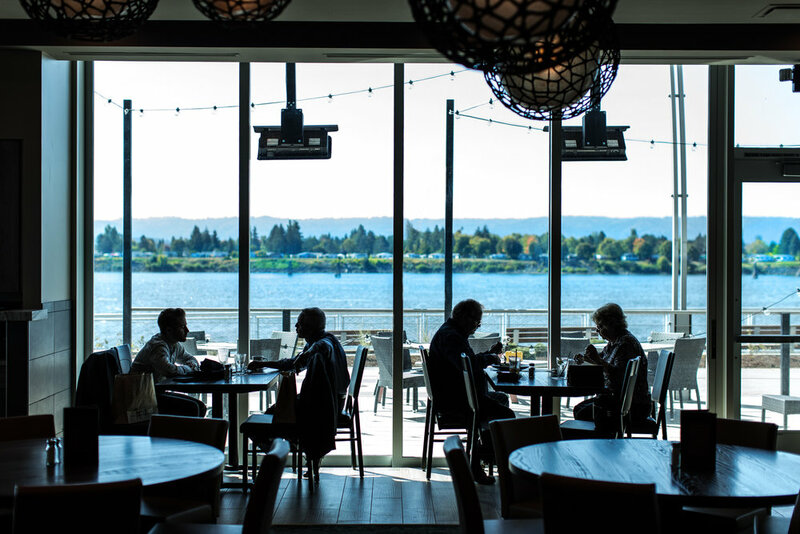 With seating for 34 people and fantastic views of the Columbia river, it’s sure to be a memorable experience. 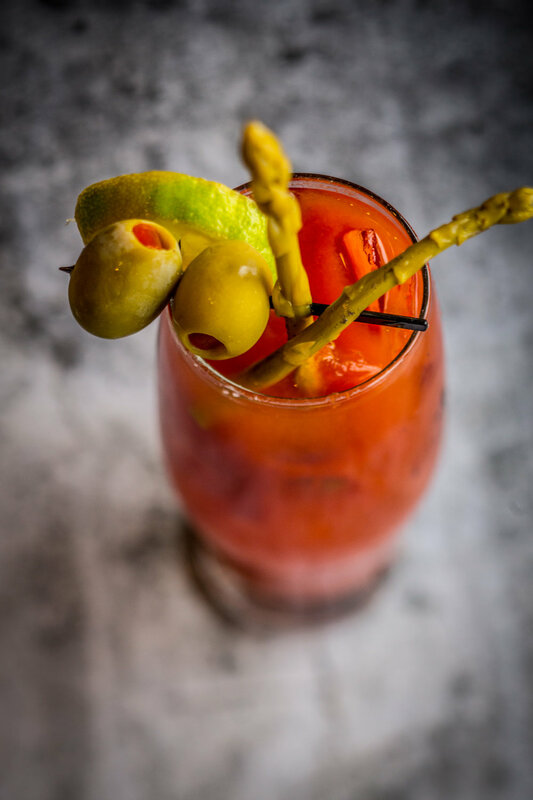 Bloody Mary and Mimosa Drink Specials Too! Grilled pita bread served with garlic hummus, olive tapenade, spiced tomato confit and marinated feta, drizzled with extra virgin olive oil. Substitute fresh vegetables in place of pita bread. Tempura-crusted calamari, artichoke hearts and onions sautéed with lemon, chili flakes, garlic and basil, served with lemon garlic aioli. Pan-roasted sprouts with bacon, shallots, and roasted garlic then finished with a touch of brown sugar and chili flakes. Crowned with a sunny side up egg and chives. Sesame crusted yellowfin tuna seared rare with spiced tomato confit, soy sauce, wasabi paste and pickled ginger. Tomatoes, garlic, basil, onions, fresh mozzarella, parmesan, balsamic glaze. A pound of thin-cut potatoes deep-fried and seasoned with salt, pepper, cayenne, rice vinegar and basil. Add our gorgonzola fondue. Fresh blue crab, artichoke hearts, Boursin cream cheese, peppers and onions, baked golden with parmesan cheese and served with grilled crostini. Sautéed beef tenders with a touch of Moroccan spices served with grilled focaccia points, gorgonzola fondue and balsamic glaze. 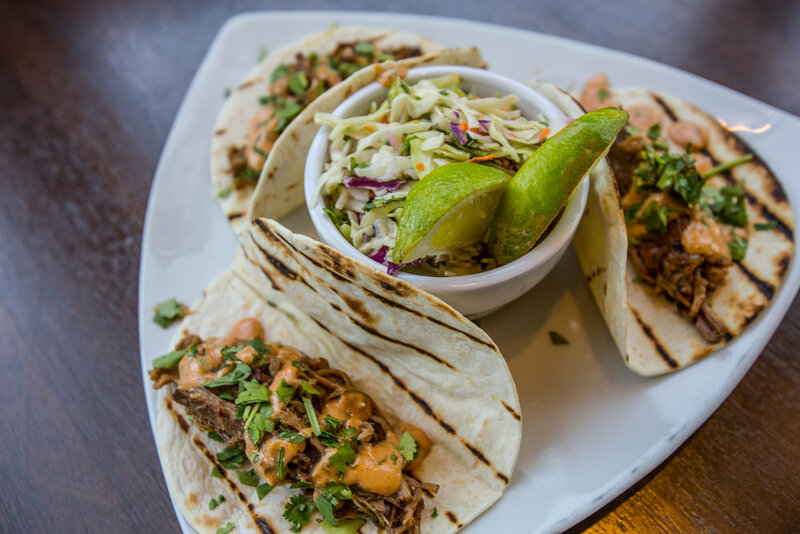 Kalua pork, Twigs slaw, Creole remoulade and cilantro in flour tortillas. Gorgonzola cream, mozzarella cheese, black mission figs, prosciutto, gorgonzola cheese and shaved chives. A blend of romaine and baby spring greens tossed with gorgonzola crumbles, candied walnuts, and dried cranberries in a red wine vinaigrette. Crisp romaine tossed with parmesan cheese, garlic croutons and toasted cumin pecans in a creamy Caesar dressing. Tender steak pieces sautéed with Worcestershire and garlic over mixed baby greens and romaine tossed with feta cheese, red onions, tomato, roasted cashews and a balsamic vinaigrette. Crisp romaine lettuce tossed with mushrooms, bacon, tomato, and gorgonzola crumbles topped with a warm BBQ chicken and hard boiled egg with our signature gorgonzola dressing. Fresh mixed baby spring greens tossed with house-roasted red beets, gorgonzola crumbles, sliced pears, candied walnuts and a pear vinaigrette. Tempura orange chicken, crisp romaine, cabbage, carrots, red bell peppers, spiced cashews, crisp wontons tossed with orange-basil dressing. Spring greens tossed with sliced cucumber, artichoke hearts, mushrooms, Kalamata olives, crumbled feta, red onions, tomatoes and a golden balsamic vinaigrette topped with a grilled chicken breast. All soups are house-made with the freshest ingredients available locally. Ask your server for today’s creations. Substitute a side Insalada Mista Salad or Pear & Roasted Beet Salad. Make any sandwich vegetarian by substituting a portabella mushroom cap and holding the bacon. Slow-roasted prime rib shaved thin and loaded onto a French roll with caramelized onions, sautéed mushrooms, Swiss cheese and peppercorn aioli. Slow-cooked pulled pork served on a French roll with Fontina cheese, pineapple rings and a Creole remoulade sauce. Tender chicken breast, honey-cured bacon, white cheddar, avocado, lettuce, tomato and chipotle BBQ aioli served on a brioche bun. Half pound Angus beef with honey-cured bacon, lettuce, tomato, crispy onions, white cheddar and lemon-garlic aioli on a brioche bun. ~ go light by substituting a chicken breast. Ahi tuna seared rare and served on a toasted pita with spiced tomato confit, crispy onions, spring greens and a curry-honey aioli. Half pound Angus beef with roasted garlic cloves, gorgonzola cheese, crispy onions, spring mix, tomato and chipotle BBQ aioli on a brioche bun. ~ go light by substituting a chicken breast. Sliced turkey, honey-cured bacon, white cheddar, lettuce, tomato, and basil mayo wrapped in a grilled tomato basil tortilla. All of our pizzas are 12” and handmade in-house. Option to add your choice of soup, side Insalada Mista Salad, Pear & Roasted Beet Salad, or Pecan Caesar Salad. Garlic and herb oil layered with fresh mozzarella, tomato and fresh basil. Herb-infused marinara, pepperoni and Italian sausage, mozzarella, mushrooms, red and green bell peppers, tomatoes finished with fresh basil. Pesto cream sauce, mozzarella cheese, garlic, sliced mushrooms, marinated artichoke hearts and grilled chicken with fresh basil. Creamy gorgonzola sauce topped with grilled chicken breast, mozzarella, tomatoes, fresh basil and caramelized onions finished with cracked black pepper. 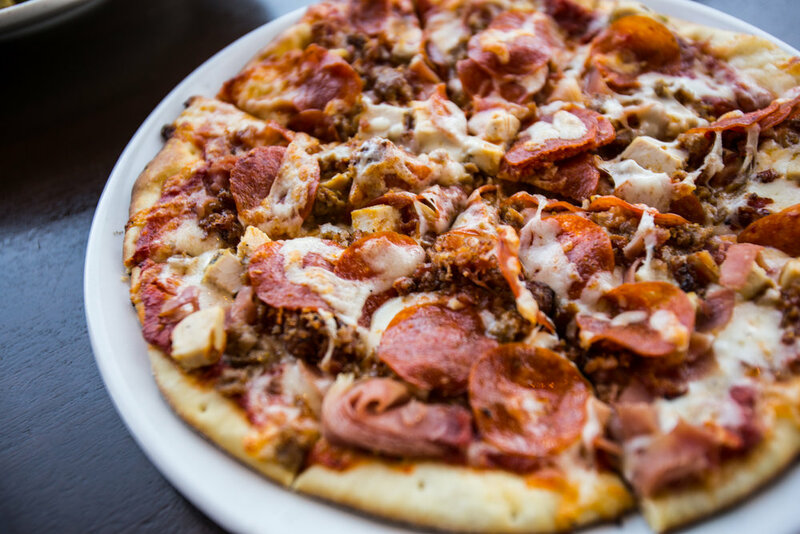 Herb-infused marinara, Italian sausage, smoked bacon, grilled chicken, prosciutto, pepperoni and mozzarella cheese. Herb-infused marinara, caramelized onions, sun-dried tomatoes, prosciutto, goat, feta and mozzarella cheeses, topped with a balsamic glaze. Add your choice of soup, side Insalada Mista Salad, Pear & Roasted Beet Salad, or Pecan Caesar Salad. Your choice of steak, grilled chicken, prawns, or portabella mushroom sautéed with broccolini, garlic, shallots and bacon tossed with penne in a white truffle-scented parmesan cream finished with tomato. 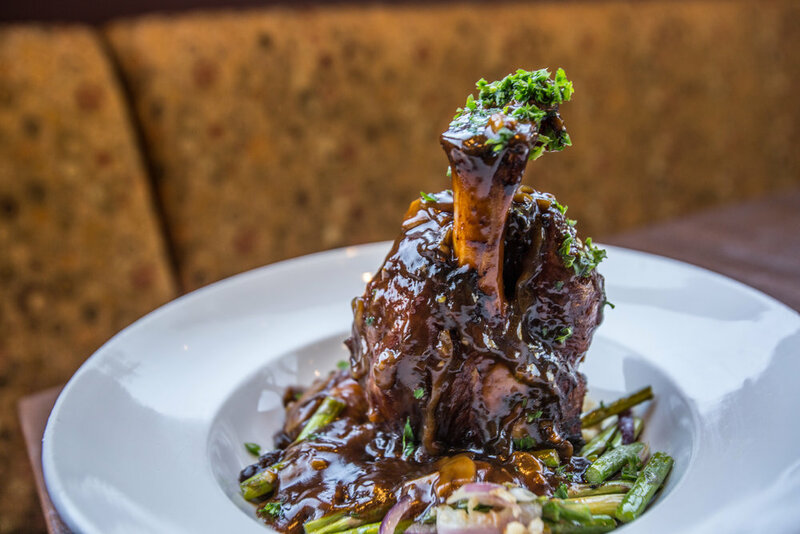 Slow-cooked pork shank served over parsnip puree with seasonal vegetables and mushroom Marsala sauce. 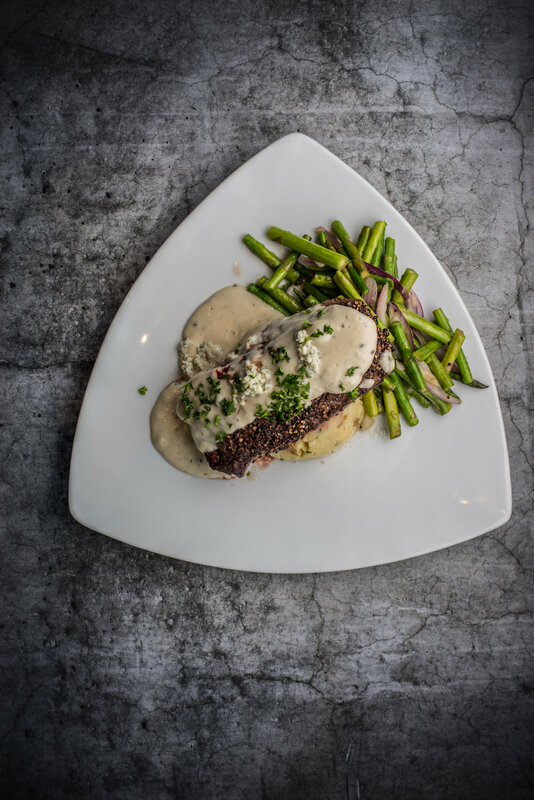 Choice ten-ounce coulotte steak encrusted in cracked black pepper, topped with gorgonzola fondue, served with chive sour cream mashed potatoes and seasonal vegetables. ~ Option to add 5 Jumbo Prawns. Alaskan cod breaded in a light tempura beer batter, fried and served with Twigs Signature fries, coleslaw and our Dijon tartar sauce. Pan-seared filet of wild Alaskan sockeye salmon over cilantro citrus rice and seasonal vegetables, with a roasted red pepper corn relish and Creole remoulade. Light version also available. Seared choice eight-ounce filet topped with a white truffle butter and served with parsnip puree and seasonal vegetables. Option to add 5 Jumbo Prawns. Ahi tuna seared rare and served with a New Orleans pan sauce, cilantro citrus rice, and grilled broccolini finished with a spiced tomato confit. 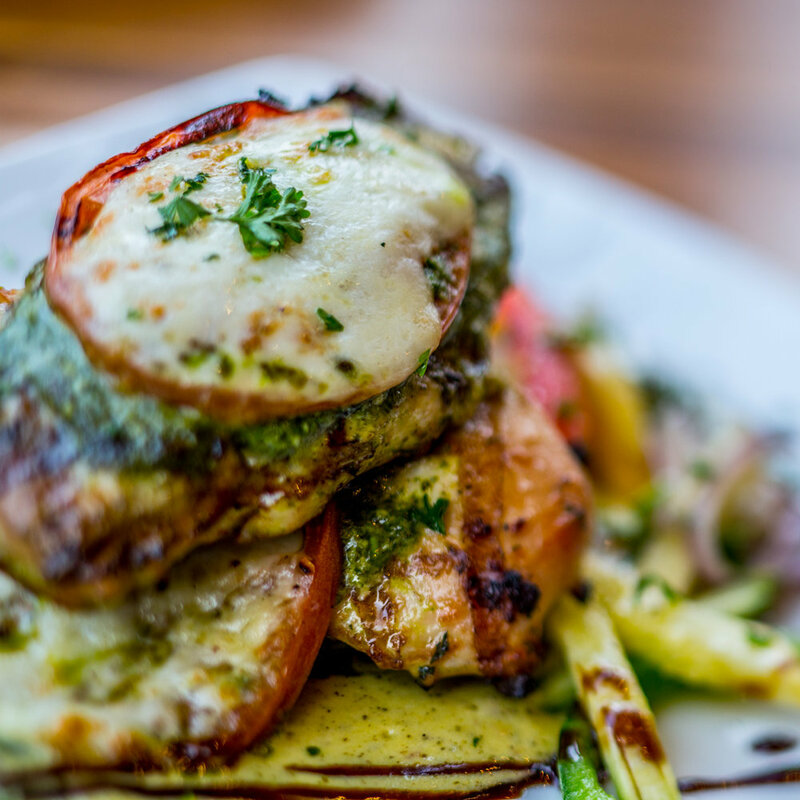 A duo of pesto-encrusted chicken breasts broiled with mozzarella and tomato placed over chive sour cream mashed potatoes, seasonal vegetables and pesto cream finished with a balsamic glaze. Light version also available. Fresh blue crab meat, shallots, smoked bacon, goat cheese, cheddar and jack cheeses, in a garlic cream sauce baked with cavatappi pasta and finished with toasted bread crumbs, tomato and chives. Double chocolate chunk cookie soft baked over old fashioned vanilla ice cream, topped with whipped cream then drizzled with chocolate and caramel sauce. Our donut holes are fried golden then dusted with powdered sugar. Served with Apple Pucker caramel, Irish Cream chocolate and Amaretto crème anglaise dipping sauces. New York style cheesecake baked in-house on a spiced graham cracker crust, drizzled with a decadent salted caramel sauce and topped with whipped cream. Classic French custard with a burnt sugar crust. Almond crust filled with a creamy peanut butter mousse, covered in a rich chocolate glaze, finished with toasted peanuts, chocolate sauce and whipped cream. Two chicken tenders served with a side of unseasoned french fries. Tomato basil tortilla smothered with cheddar cheese served with unseasoned french fries. Option to add grilled chicken for an additional charge. Pasta with butter and parmesan cheese. Add red sauce for no extra charge!!! Kid sized pepperoni or cheese pizza smothered with house marinara and topped with cheddar and mozzarella cheese. Pasta cooked perfect with cheddar, Jack and parmesan cheeses. 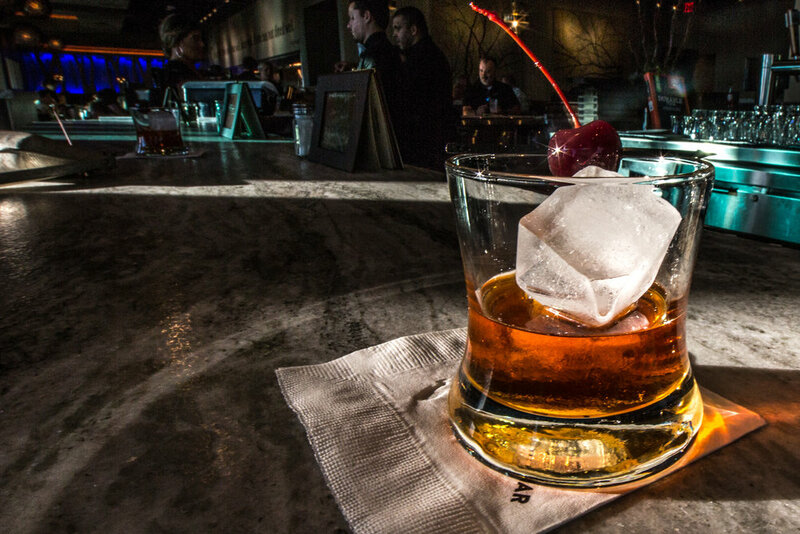 ELIJAH CRAIG SMALL BATCH BOURBON WITH A DASH OF BITTERS AND HINT OF CHERRY JUICE, GARNISHED WITH A CHERRY. TITO’S HANDMADE VODKA, TRIPLE SEC, AND CRANBERRY JUICE MUDDLED WITH LIMES. SVEDKA CUCUMBER LIME VODKA AND TRIPLE SEC MUDDLED WITH FRESH BASIL AND LIMES. BACARDI MANGO RUM, SAILOR JERRY SPICED RUM, OUR MUDDLED CITRUS MIX AND FINISHED WITH A DASH OF GRENADINE AND SUGARED RIM. THREE OLIVES POMEGRANATE VODKA, PAMA POMEGRANATE LIQUEUR, MANGO PUREE, AND A SPLASH OF SIERRA MIST. TITO’S HANDMADE VODKA, BOLS BLACK RASPBERRY LIQUEUR, SOUR AND MUDDLED WITH FRESH LIMES. SVEDKA CITRON VODKA AND TRIPLE SEC SHAKEN WITH OUR FRESH MUDDLED CITRUS MIX SERVED WITH A SUGARED RIM. Or make it a STRAWBERRY OR HUCKLEBERRY LEMON DROP for small extra charge. BOMBAY DRY GIN MUDDLED WITH LEMON, A SPLASH OF SIMPLE SYRUP AND A FLOAT OF CHAMPAGNE WITH A LEMON TWIST. LUNAZUL TEQUILA, TRIPLE SEC, SOUR, MUDDLED WITH JALAPEÑO, ORANGE, LEMON, LIMES AND CILANTRO WITH A SALTED RIM. VANILLA VODKA, BOLS SOUR APPLE AND BUTTERSCOTCH SCHNAPPS, SPLASH OF SOUR IN A SWIRLED CARAMEL ENCRUSTED GLASS. SVEDKA CLEMENTINE VODKA, BLOOD ORANGE PUREE, OJ, FRESH MUDDLED CITRUS MIX AND GARNISHED WITH AN ORANGE. HENDRICK’S GIN, ST. GERMAIN ELDERFLOWER, SIMPLE SYRUP AND MUDDLED CUCUMBERS. TITO’S HANDMADE VODKA, HPNOTIQ, MUDDLED LIMES AND CUCUMBER. SVEDKA VANILLA VODKA, IRISH CREAM, COFFEE LIQUEUR, CREME DE CACOA AND GARNISHED WITH SHAVED CHOCOLATE.